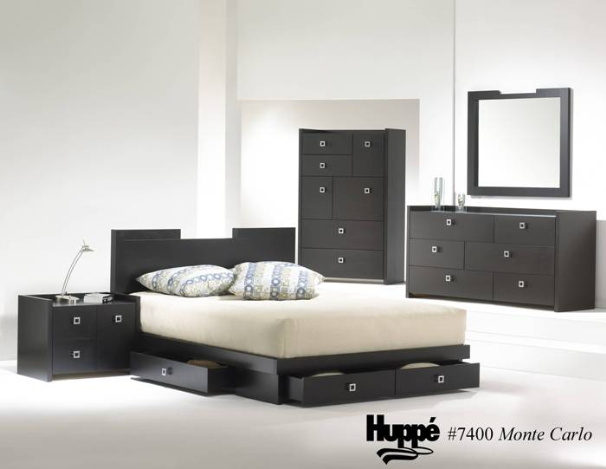 The Monte Carlo contemporary bedroom suite is made of birch veneer. 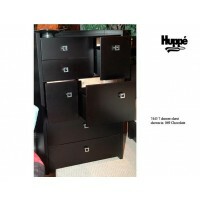 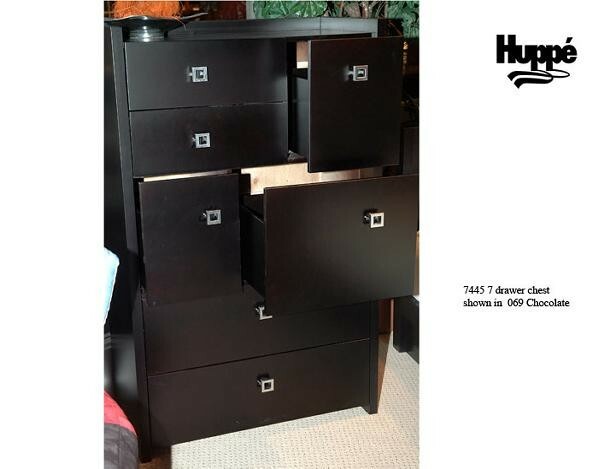 The configuration of the drawers is made like a puzzle. 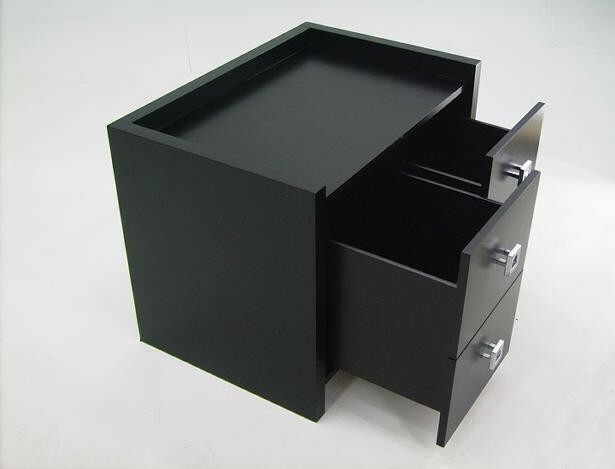 The inside of the drawers is painted like the casing. 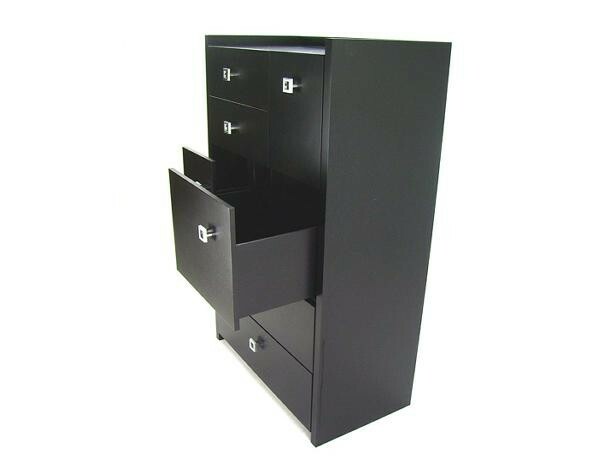 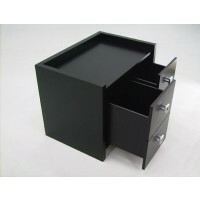 The drawers are equipped with self-closing Quadro-system glides. 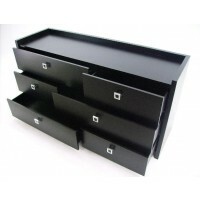 They are dressed with chrome metal handles. 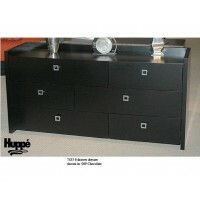 The platform bed of this collection comes with two drawers at the foot of the bed and two other drawers on the sides of the platform . 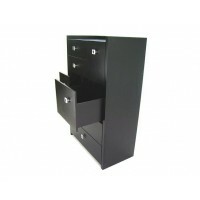 The platform is also offered without the drawers on the sides. 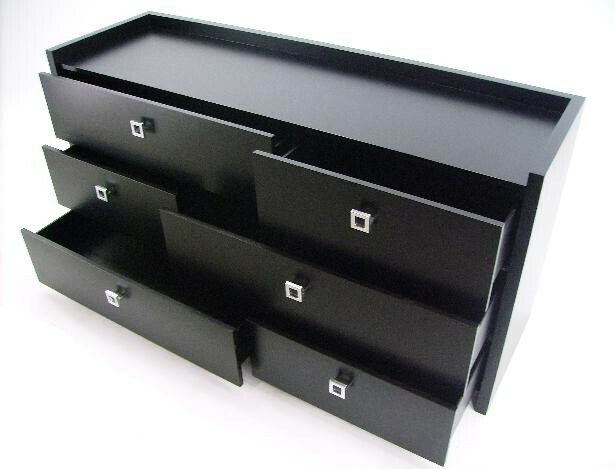 Due to the special platforms, the mattress of the bed will have to rest on four panels. 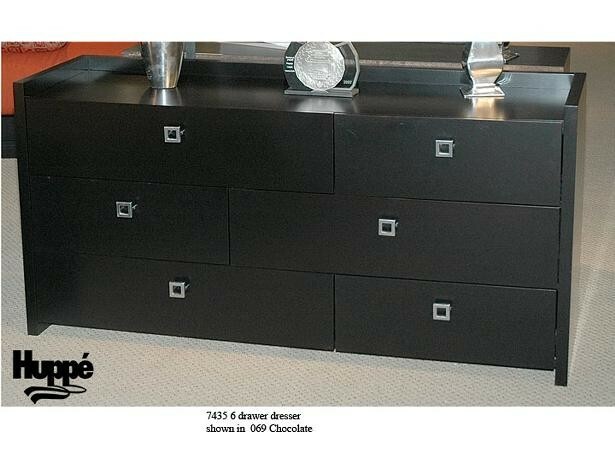 Shown in our chocolate finish.